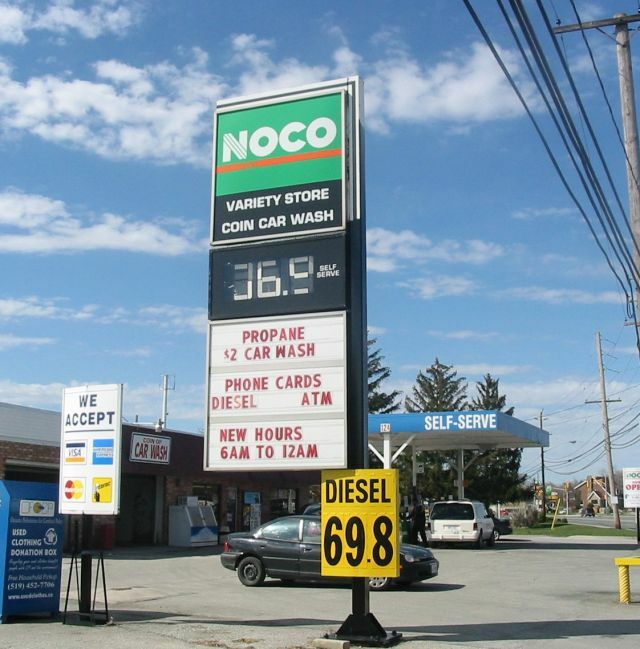 Noco station in LaSalle, Ontario. This station is a former Mobil. It had been rebranded a few weeks before this photo was taken. Photo by Andy Songal, April 3, 2004. Noco operates most of its stations in upstate New York.